Written to introduce rental boaters to cruising regions, rental companies and the basic skills and knowledge needed to safely and confidently voyage through the cultures, histories, foods and wines of France. Details and impressions from thousands of kilometres cruising the French canal systems over the past thirty years. Written to assist the reader in discovering many of the better ways of enjoying the waterways of Europe. A beautifully illustrated children’s book written by Edi to introduce her granddaughter to her Dutch heritage. Michael and Edi’s three-year adventure from Vancouver down the west coasts of the Americas, around Cape Horn and up the east coasts. Set in the Côte d’Or area of the Burgundy in the spring of 1986, this story weaves a fictional tale through the facts of the French wine business in the 1960s, 70s and 80s. 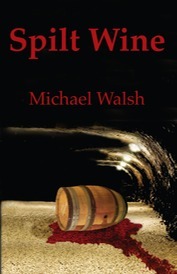 David is on another of his European visits, searching for wines to import for his growing company, when he runs headlong into a wine theft and missing people. Intertwined through his adventures are a beautiful woman and a graceful little Dutch barge on the Burgundy canals. Although this is a piece of fiction, most of the locations and the history, many of the adventures and some of the characters in it are real or are based in reality. The timeline follows events and experiences in the author’s life, sometimes slightly juggled to fit the crafting of the story. Fortunately, the violence is fictional. As for the embellishments and deep emotions, he’ll leave it to the reader to sort fact from fiction.